Whether prepping for SHTF or just a great summer of family camping trips – WATCH THIS very informative video about the best survival gear for camp cooking. DAHBOO7 of Underground World News, is making a series of videos to help us be prepared and ready, “considering the political climate out there”. He is conducting tests and reviews on the products he thinks will be the most useful. Thanks for including the Kelly Kettle in your series, DAHBOO7, at the best survival gear for camp cooking, boiling water fast and starting a fire. 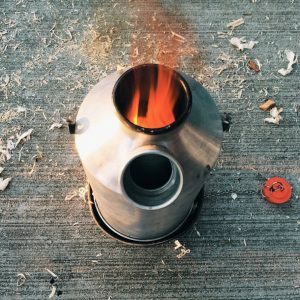 The Kelly Kettle is the quickest solution/device for boiling water fast; cooking outdoors; and even building a quick fire to make a smoke stack. 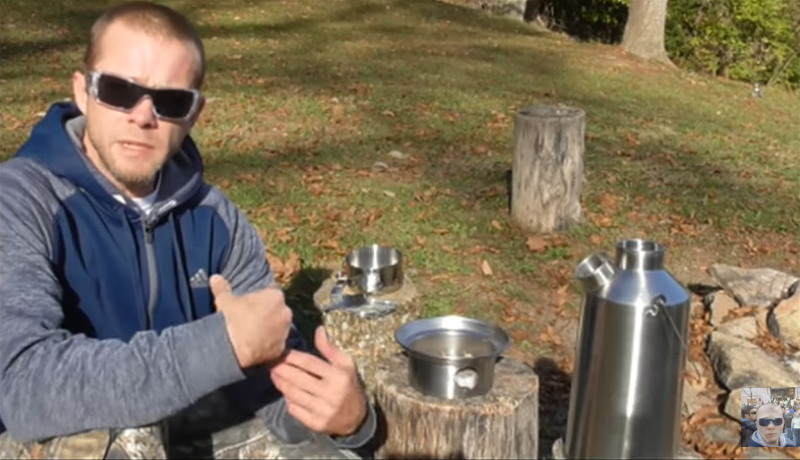 While his focus is on survival tips; watch how easy this great gear would be to incorporate into any outdoor adventure, such as camping, fishing, hiking, hunting, backpacking – basically any time you need hot water, the ability to cook a hot meal or make a quick little fire. In any kind of emergency or out in the woods you’re going to need a quick source of power to cook food or make coffee. The Kelly Kettle provides you the ability to do both options – at the same time -and use all natural fuel. Sticks, twigs, pine needles, dry grass – basically, anything will work. This is great – so you don’t need to have a supply of fuel on hand or pack fuel canisters in and out when hiking and backpacking. The fire starts quickly because of the Kelly Kettle design. The hole in the base of the kettle allows for air flow which really accelerates how quickly the fire will start. You can boil water for your coffee and cook your food at the same time. It’s a pretty phenomenal little piece of gear. We appreciate this awesome review by DAHBOO7. Show me the Kelly Kettles . Get outdoors!